Gear up for the last five months of pregnancy. It's 16 weeks already! In the 16th week of pregnancy, something called quickening starts to happen. It is referred to the baby’s movement which occurs between 16 to 20 weeks of pregnancy. It is felt as a small flutter of movement in the stomach. And, since we are talking about pregnancy week by week the first time mothers may not even realise that it is actually the baby moving. You will undergo a lot of testing in this week to check the baby for genetic problems and you for symptoms of common cold and flu. This is because of the weakening of your immune system, which requires medications that are not detrimental to you or your baby. Body Changes in Pregnancy Week 16 – What to Expect? Week 16 is crucial with respect to your baby’s development. Doctors will make you undergo a lot of tests like diagnostic tests for Spina Bifida, Down’s syndrome and AFP testing. You will also start feeling the milk in your mammary glands. Veins of your breasts start showing too as more and more blood gets pumped into them. Backaches are common during pregnancy. You would be able to bring some comfort by resting. Otherwise, you would be more prone to accident and clumsy feeling. Your belly would start to expand every week now. This would lead to the problem of stretch marks but you can control it by preventing excessive weight gain. 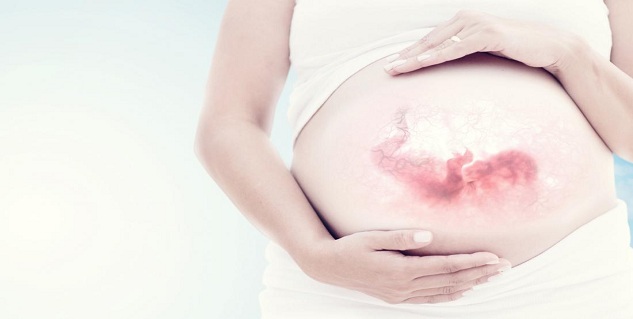 In Pregnancy Week 16, the blood flow to the skin increases, resulting into what is called “the pregnancy glow”. If you had morning sickness, it will subside. By this time, the adjustment to your condition is over, and you actually start to enjoy the pregnancy. The flutters in your stomach makes you happy about feeling the baby inside you. First-time moms may need to be told about this phenomena but it will surely make them feel great! These are likely to increase as the weeks and months pass by. 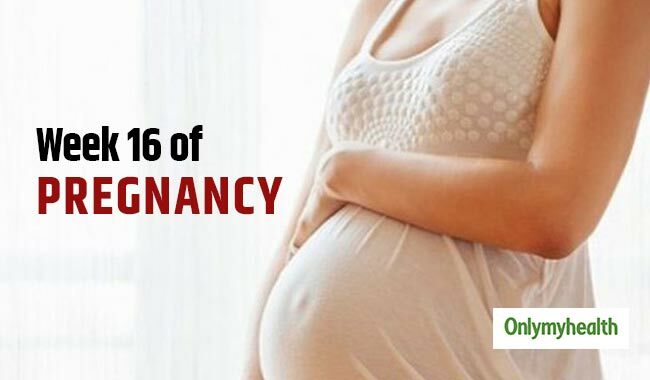 Week 16 is an important time in your pregnancy. Any genetic history that you may have should be disclosed to the doctor as tests for genetic problems of the baby are conducted. Be stress free as stress can affect the baby. Keep taking your vitamins and always eat right. Sleeping on your side may be more convenient now than on the back. Use as many pillows as you like for comfort. It helps to relieve the pressure from your abdomen. Ask your doctor to recommend some prenatal classes for you to enroll so that you may learn more about the coming days of pregnancy and how to prepare yourself for childbirth. Keep getting the sonograms done and enjoy watching the growth of your baby.